Ciau! 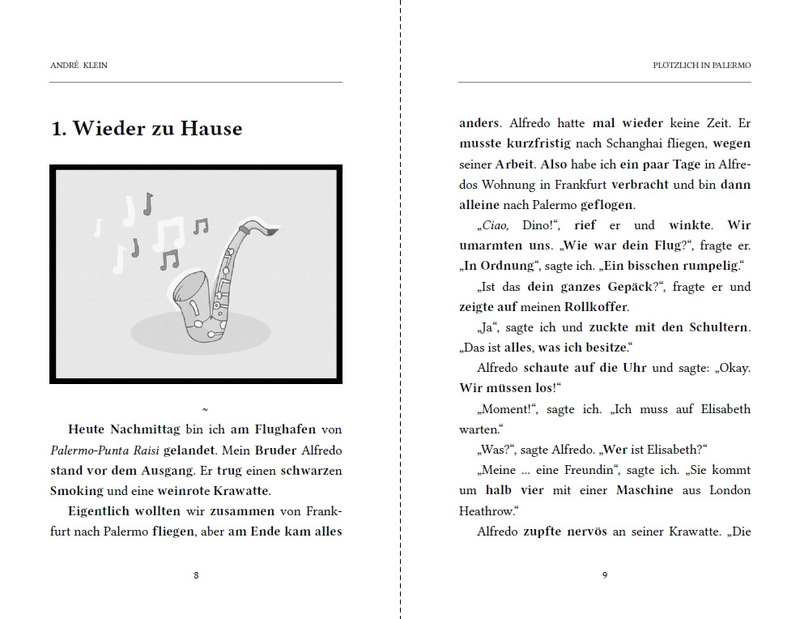 Take your German to the next level and boost your vocabulary, reading comprehension and grammar sense with episode 6 of the bestselling Dino lernt Deutsch German short story series for beginners! 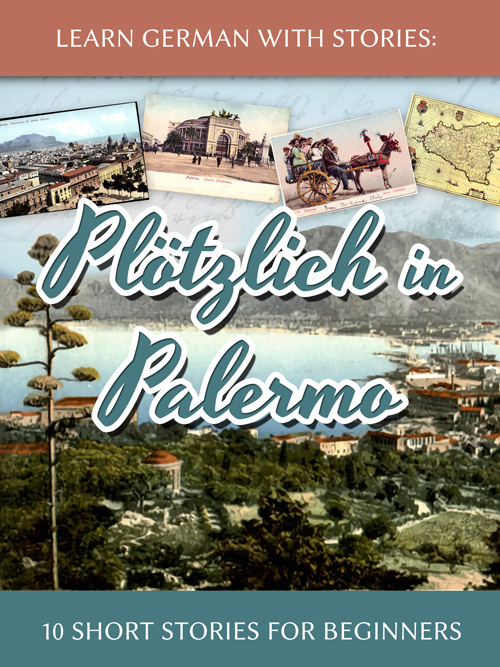 In this special follow-up episode to Ahoi aus Hamburg, Dino travels back home to his place of birth, Palermo – coastal city and capital of Sicily – to join the wedding party of his big brother Alfredo. Excited about the prospect of meeting old friends and family, and a special guest from England, Dino stumbles into the nuptial celebrations completely underdressed, when a strange incident suddenly throws everyone’s plans into turmoil. Discover the culture and cuisine of northern Sicily, learn about sights and sounds of Palermo and improve your German effortlessly along the way. Just got started learning German? Memorized a few words but struggle with longer texts? We’ve all been there. This book is designed to help beginners make the leap from studying isolated words and phrases to reading (and enjoying!) naturally flowing German narrative. 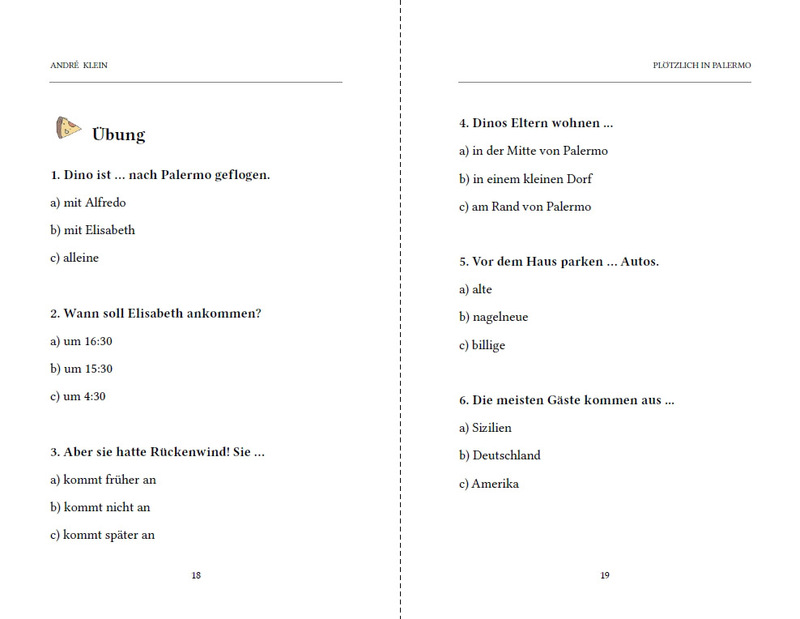 Using simplified sentence structures and a very basic vocabulary you can build upon, this set of 10 German short stories is carefully crafted to allow even novice learners to fully immerse themselves in an authentic German language experience. 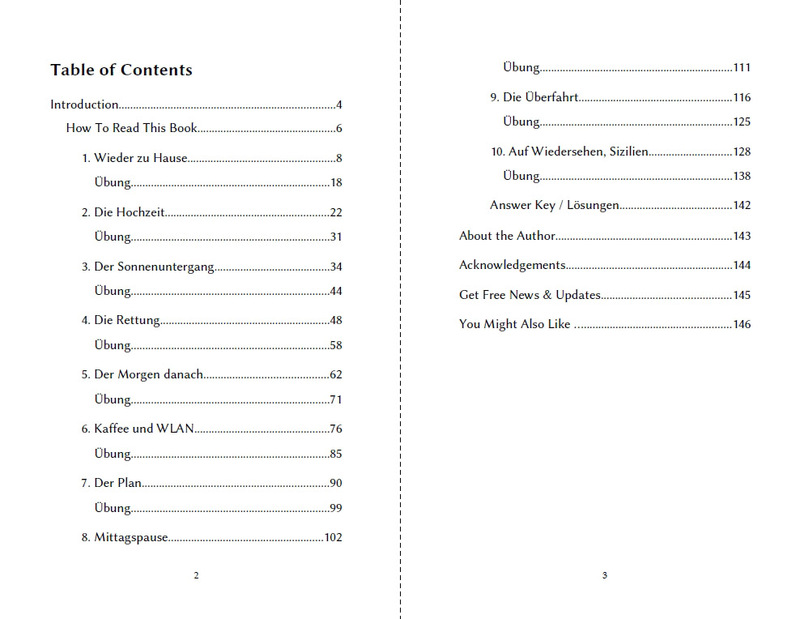 Each chapter comes with a complete German-English dictionary with special emphasis on collocative phrases (high frequency word combinations), short sentences and expressions designed for improved memorization. By working with these building blocks instead of just single words, learners can boost their active usage of new material instantly and make the learning process more fluid and fun. Yes! That’s right. This is only the sixth episode of a whole series of exciting German short stories for beginners. Follow our protagonist to Frankfurt, Cologne, Hamburg, Zurich, Vienna and many other cities! Before you know it, you’ll have travelled half of Europe and picked up more German than years’ worth of expensive courses. Learning German has never been more fun. This book comes as an Indie Publishing Pack including PDF, MOBI and EPUB + Flashcards (Anki/Quizlet).